You can help keep your family safe and improve your electrical supply by upgrading your switchboard. 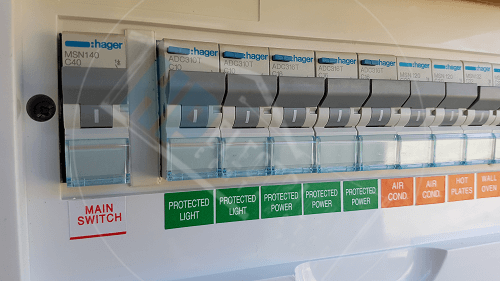 Here at HP Electrical Contractor, we are the leading switchboard upgrade provider in Sydney and we can get your service safe and up to date. Your old switchboard is putting your Family at RISK. Call for 0431 720 172 for a FREE inspection. Level 2 electrician services all ares of Western Sydney. Are you in the Fairfield, Blacktown or Greater Western Sydney region and in need of a new switchboard? Do you still have a fuse board that is giving you problems or is your existing switchboard outdated? This can be quite frustrating and dangerous. We are based in Fairfield East – South Western Sydney and service homeowners and builders in all areas of the Sydney region including Western Sydney, Liverpool, Wetherill Park and Fairfield NSW, providing all level 2 services and electrical needs. Switchboards do not last forever, so make sure that you upgrade yours when the time comes. 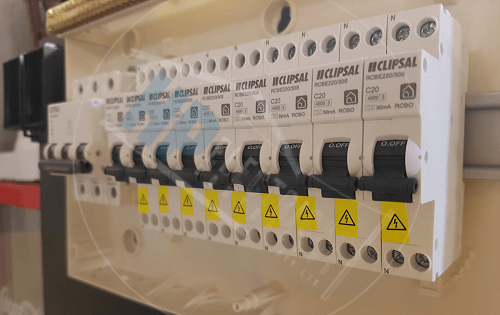 Your switchboard is the central key to your home’s power needs and it crucial that it is in top working condition to guarantee your family’s safety. If you have an older home you’re your switchboard is probably outdated. Outdated switchboards are the cause for most electrical fires. A switchboard upgrade allows you to remove the dangers from old fuse and plug-in circuit breakers. Some of the older switchboards contain asbestos, which is a proven carcinogenic. Asbestos should be removed and it needs to be done correctly or it can cause even more health risks. If new material is required in a switchboard that contains asbestos the panel will need to be removed. We are able to remove it and replace it safely. Level 2 electrician performing switchboard upgrades in Fairfield, Sydney & Western Sydney areas. All of these symptoms can be dangerous and can cause major issues. It is important that you take all preventative measures, and have your switch box replaced, to protect your family from a deadly house fire or electrical shock. Older switchboards were not designed to cope with today’s high demands and they might not have the required RCDs. These RCDs offer a layer of protection that protects against getting shocked and electrical fires. They are able to protect you and your family from electrocution by cutting off the power source instantly. Are You Adding More Electrical Equipment and Appliances? 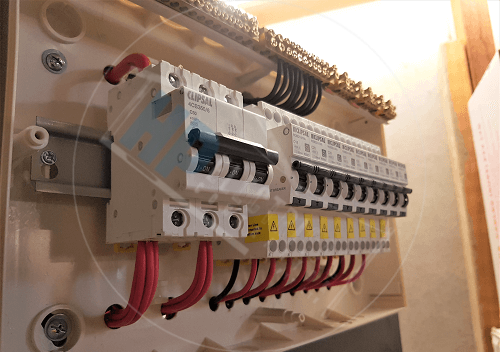 If you are adding new equipment in your home or any 3 phase equipment, such as , an air conditioner you will need a Switchboard upgrade in Sydney. As previously stated, older switchboards were not designed to handle today’s current electricity needs. When they were installed there might have been only one or two appliances running. Today it is normal to have several appliances running at once and this can cause a strain that your system cannot handle. Our reliable and experienced electricians are here to provide you with the service you deserve. We are experts in our field and we can complete your job in one day. Once we have completed your switchboard upgrade in Sydney or Western Sydney we will remove any rubbish and discard it for you. We are here to please and we strive to provide 100% satisfaction guarantee. Do you know if your switchboard is working properly or if it needs to be replaced? Call to book in for a free quote on 0431720172. Level 2 electrician performing switchboard upgrades in Fairfield, Liverpool & Western Sydney areas.